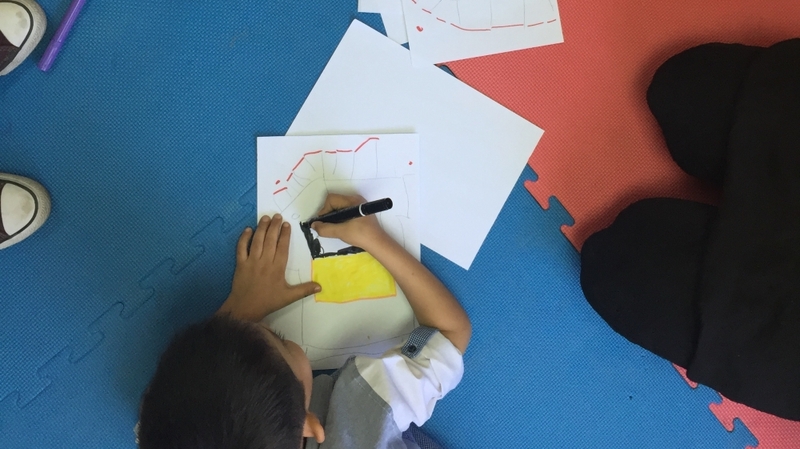 “Art is a very effective way to work with kids,” said art therapist Dania Fawaz, who has collaborated with a number of NGOs that work with vulnerable youth, including Tahaddi, Himaya, Intersos and Caritas. Half a million school-age Syrian refugee children are registered in Lebanon and, although they are safe from war, they are now grappling with a lack of access to education and inadequate psychological care. Many have suffered extreme trauma, witnessing brutal violence and the loss of their homes, schools, friends and family members. Art therapy is one strategy for dealing with this unprocessed trauma. Qualified art therapy is a relatively new field in Lebanon and requires practitioners to study abroad, as no degree is offered locally. Myra Saad, the founder and director of Artichoke Studio, a registered art therapy centre in Beirut, said that it tends to follow a series of steps common to different branches of psychotherapy: “one, to have a safe space where you can express yourself; two, to become more aware of what you’re feeling and where it’s coming from; and three, to eventually change”. The primary goal is to give participants “the space and time to be children again”, Saad told Al Jazeera. Fawaz says that it is important to not pressure children to talk about the war, but instead allow them to come to it in their own time, or to approach it through metaphor. Another boy, a 12-year-old who had been living in an area occupied by the Islamic State of Iraq and the Levant group (ISIL, also known as ISIS), reacted to the trauma of the extreme violence he had witnessed by becoming very aggressive. 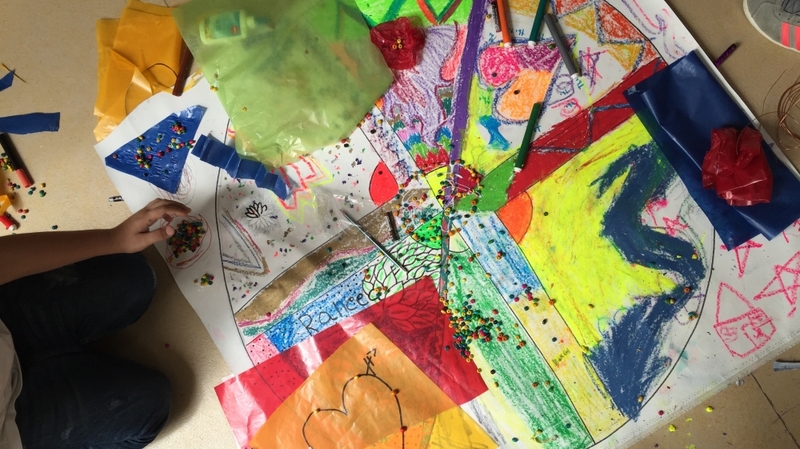 Although an increasing number of NGOs have been utilising art therapy, funding is often very limited and therapists are expected to work miracles in a short time. Saad and Fawaz both emphasise that they require at least eight sessions with each patient, ideally a dozen. Children with severe symptoms of trauma might need up to a year of therapy. But even shorter, intensive blocks of treatment can have a positive effect. Art therapist Mona Shibaru worked with a group of teenage Syrian girls over 10 days in July 2016 as a volunteer for the Singapore-based organisation The Red Pencil, which runs art therapy courses worldwide. “There was a lot of imagery of war, of course – a lot of trauma,” Shibaru told Al Jazeera. “Images of yearning to go back home, images of death, loss of homes, displacement, separation from family members … and a lot of verbal processing of how to integrate into a community here while being displaced. No matter how long the treatment, Saad said, it is important to leave patients with a message of hope.